Most Effective and Safe Diet Pills – FDA Appproved! If all diet pills were safe and worked, the planet would be filled with J-Los and Brad Pitts. Unfortunately, in the real world, the weight loss market is full of scams and potentially dangerous or even deadly concoctions. 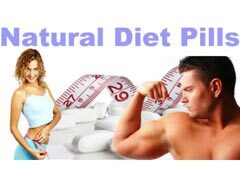 Finding safe diet pills is quite the challenge these days as the internet has done a fine job of connecting the global marketplace. So how do you find weight loss supplements that work and not risk your organs and health in the process? You look for that FDA seal of approval, which funnily enough is stamped on literally almost zero weight loss products. It’s important to understand that the FDA regulates supplements differently than it regulates medications. Now, that doesn’t mean that companies can fill your natural diet pills with cyanide, but it does mean that the fine toothed comb that is scoured over prescription medications is not present with supplements. Thankfully in recent years, safe diet pills that work have finally become available over the counter as well as in prescription form. Bear in mind that the prescription versions of these medications are reserved for people who are substantially overweight or obese and their health is suffering from their weight. So what safe diet pills does the average Joe buy to shed holiday pounds? Well, you can turn to pretty much the only FDA approved over the counter weight loss pill, Alli. Now, Alli side effects have gotten a bad rep for ruining both underwear and date nights everywhere, but it’s not the monster it’s being made out to be. Part of taking Alli is also eating a low fat diet and watching your fat intake. Oh, you didn’t really think that you could eat whatever you wanted and lose weight did you? Alli might stain your tighty whities on wing night, but as far as safe diet pills go, it’s the only one that the FDA has given its seal of approval on. That’s not to say that every other diet pill is horribly unsafe. Many people have long reaped the benefits of green tea extracts and caffeine for weight loss and appetite suppressing. If you are looking for safe diet pills, your options are limited. If you choose not to go with the FDA approved version, and even if you do, it’s critical that you speak to your health care provider before beginning any supplement or medication. Your doctor will discuss your plan with you, including diet and exercise, things which will not go away no matter which pill you decide to take. Scary Alli Side Effects - Dizziness, Hair Loss and Liver Damage!